Nickname Problems. What you learn in this problem-solving article could change your life for the better. Nickname Problems. Why can a nickname limit your fulfillment in life? Discover one of life’s ironies, revealed by energetic literacy. And learn what you can do to name yourself right. First of all, you just don’t like your name. So you decide to disguise it. Like changing Logan to Loggie. Second, you aim to cute-it-up. Helping you to stand out. Like transforming up boring Bob to exciting, cool Bobcat. Third possibility: What if you want to grab attention? Accordingly you choose a tongue-in-cheek nickname. Like going from silly Stephanie to wink-wink Queenie. Fourth possibility: In business there’s some tradition to nicknaming yourself by initials. Supposedly adding clout. Why go by Harrison Robert Smith when you could dub yourself H.R. Smith? Final possibility in this list. (Although surely there are many other possibilities.) You choose to go by your middle name, hiding your first name from everyone else. Except when writing your official signature. Like going from — what were my parents thinking? — Millennia Jane to simply Jane. Why Do I Help People Solve Nickname Problems? Indeed, I don’t just spot nickname problems. I care passionately about helping people to solve them. All sorts of naming problems. And I’m quite sure that if I were to do a session of Name Alignment with Loggie, the aura-level consequences would be dreadful too. Hidden Nickname Problems #2. Ambivalent about Your Humanity? Sure, it can seem liberating to go from boring old Bob to calling yourself Bobcat. Or go from Katherine to Cat. Academy Award winner Gwyneth Paltrow named her daughter Apple. Avatar star Sam Worthington names his son Rocket Zot. What do names and nicknames like these have in common? They’re not human! Seems to me, your spiritual growth depends upon accepting your humanity. Not to mention when you ask other people to call you by a name that is an animal, fruit, thing, or fantasy place! Please don’t inflict comical nicknames on yourself. The joke might appeal to someone (over the age of nine) for three minutes. Then what? Obviously I’m not going to complain that J.K Rowling couldn’t succeed as an author because of nicknaming herself with initials. But who knows what personal price she has paid? Maybe you know that one of my favorite RES specialties is Name Alignment® Aura Research. What you think that the cool, business-ey clout of nicknaming yourself with initials can only help you? Might I suggest? Do a session of Name Alignment Aura Research. So you’re not driving blind. Instead you could get yourself a real name of power! Nothing like precise, accurate info about this kind of nicknaming to give you a true, new view. Ouchers, does one really solve the problem of an embarrassing name by not mentioning it? Millennia Jane won’t stop being Millennia Jane simply because she doesn’t tell anybody. And most folks won’t have occasion to see her legal signature. Fact is, your legal name counts. And not just legally. Your aura — and karma — and integrity can all get dinged big-time. But what if you’ve ever had Name Alignment? Please, please avoid nicknaming yourself. Because we didn’t research that nickname, did we? Probably it’s not as good for you as you think. To find out for sure, ask me to research that variation during your session. What if you’ve been hiding parts of your name? Might I suggest? Either go back to your legal name. Or else legally change your name. Preferably doing this in an intelligent manner, based on more than “Does it sound nice?” Most of my clients for Name Alignment start off by proposing nice-sounding names that turn out, with aura research, to be really awful energetically. Whereas the name finally chosen is great, sound-wise and association-wise and energetically, too. How Hard Is It to Change Your Name Legally? Unless you’re a convicted felon, or trying to avoid paying your debts, guess what? Legally changing your name is inexpensive. And quite easy. Actually, one gal who did Name Alignment with me… did have a bit of a history with the law. But that was years ago. So she had no prob at all with changing her name to a much, much better one. Give the name change thoughtful consideration. Because hopefully you won’t change that new name any time soon. In conclusion, dress cute. Talk cute, if you like. Just don’t name yourself cute. Ooh, what a great article! I did know someone who went through the trouble of Name Alignment, only to give themselves a silly nickname. I don’t think they were using it often, at least. And they didn’t understand the implications, or they wouldn’t have done it in the first place. I’ve had my current name for almost 5 years now. The nickname I’m most often given is “Bella.” That’s been by a handful of people- all men, and mostly exes. I did wonder about the impact of being called “Bella.” I know it’s VERY different from Isabella. And not good. And it’s impacted me mostly in love relationships? Wow. Totally going to research it with you, Rose. And in the meantime, politely decline to be nicknamed! “Isabella” is so wonderful! You’re right, it’s not hard. Even for someone like me, who, 5 years ago, struggled a lot with paperwork-type things. It was fun. I got to go to the courthouse! For a fun reason! Hi Isabella, thank you for treating us to your series of comments! I like your idea of courthouses being sacred. Wouldn’t it be an amazing world if they were? I’m thinking that Rose would like a world where the communication skills required to do justice in a human way are valued as sacred! Hmm, it might be interesting to see if using a nickname on the blog has a negative effect. If anyone wants to know who I am in real life, I don’t mind telling them… but given my name and my comments about my career, it’s not too hard to triangulate me. Though the blog might be a fun way to try out new names and see how that might change how I present myself. Thanks for the insight, Rose! I’ve been shortening my name to Cat without considering the consequences. I’ll have to research the effect of calling myself Cat on my aura. Oooh I love this post and the comments! Fell free to report back on your findings, CATHERINE. That’s a name whose vibrational signature you know, whose results on your aura you know. In contrast to taking on the name of an animal. A nice sort of animal, but not a human animal. I also changed my name after Name Alignment, and my ex called me “Em”. I think I will also research it as sometimes my granddad and my father still call me “Em”. There was one old manager who called me Em too… so far all men it seems! I did push back on that one the best I could at the time because it was a work situation and I knew it wasn’t ideal. When I first applied for an ID as a teenager I found that my middle name had been mispelled and my last name was longer than it should have been. I’d been going to school under a similar but not exactly the same name. Reading this I realized that it would make a difference to change it even though the change wouldn’t be that noticeable, so thanks. Your post and all these comments are very helpful. I have been guilty of using reasons 1 and 5. The first, not technically changing my first name so much as making it pronounceable in English. At the same time making it sound like a cartoon name, something really childish in my ears. Also I’m currently using my middle name, because at least it’s pronouncable by most. It also happens to be the name of a storm that killed thousands where I live. My new name, that I will be making legal soonish, has no chance of getting abbreviated. Name Alighnment research really is brilliant. Down to making sure I wouldn’t have a name that would invite further abbreviation. When I first changed my name, several people started addressing me with the abbreviated version of my name (which is a very common abbreviation in the UK). Usually they did this without asking me…. It had taken so much courage and determination for me to change my name, that I knew at once that NO WAY was I going to let anyone call me by the shortened version! I put a stop to that immediately :-). Super interesting comments everyone! I am also now curious of the consequences of the nickname ChloChlo. It’s the strangest thing my boss started calling me this and then my boyfriend ( and they don’t know each other)and it’s catching on to others. I didn’t even think Chloe could be shortened (maybe to Clo but I don’t hear that much)people like to get creative. Blog-Buddies, I’ve greatly enjoyed comments here so far. Besides sheer enjoyment, by now, I have a few thoughts to share. And, personally, I wouldn’t call what they’re doing, getting “creative” but trying to put their mark on you. Diminutives are affectionate (sometimes). They’re for pillow talk. Not the workplace. ZAYBE wrote some very sage, practical advice about this in Comments #17-18. As a long-time observer of naming — and power dynamics — might I suggest? Reread all the comments in this thread and see what they tell you about power. For instance, if a boyfriend or boss shortens your name, is that really affection? Or is that person cutely (and probably not consciously) minimizing you? It is absolutely bizarre for a boss to give a cutesy nickname. Grosses me out. Well, I was ambivalent before about being nicknamed. Now I’m not. Personally, ISABELLA, i like this conclusion you’ve reached. Throughout history, there have surely been people who recognize that there is power in naming. And for all you Blog-Buddies, you can claim your power of naming right now. Usually I don’t let other people nickname me. And even though I’ll say it with a smile, I’m way serious. Long as we’re having our first depth conversation at this blog about naming, I’m curious. What do you think about this somewhat common, whateverey attitude towards naming? I love this thread. I had a colleague who kept trying as a joke, to give me a middle name. I don’t have a middle name. When doing name alignment research with you, Rose, you told me a middle name would only dilute the power of my particular name. I was very firm with her that I didn’t find it funny and wasn’t about to add a joke middle name. What you say here makes her behavior clear–she was trying to “make her mark on me” and diminish my power. To me it is like declaring out loud that you don’t have self-authority, don’t know who you are, and will do whatever pleases other people. What a way to give away your power! Also interesting, the part about non-human nicknames. I had never thought about that before but it makes sense. Interesting. I’ve always been sensitive to how names made me feel and tried to be respectful of that with others but, of course, I didn’t realize the energetic impact. The nickname or two I had as a child, when used, felt like the rare treat of affection or attention, how sad is that? One I was given later, by an adult friend, seemed to acknowledge a part of my personality that I’d longed to develop and it was somehow validating — especially when my mother somewhat embraced the name. A nickname that stuck the longest (but is now more of a pseudonym for posting, and an acronym of my initials), was initiated by my former boss. Went to sleep last night thinking that it was probably all about him underneath it all. KYLIE, you’re on the same page as me here. KAYCEE, I’m especially pleased at how you flagged something important. When someone tells YOU what YOUR NAME is — whether a friend or a boss or some other adult — why give away your power? By wondering what it means about the person who takes it upon himself to name you. Blog-Buddies, consider yourself officially authorized. From now on. Like Lilian, I’m curious how using a pseudonym online fits into this discussion. I don’t mind using my real name, either, but I also enjoy my privacy as one who unsubscribes from most social media madness and my space, especially while oblivious to, or learning, empath skills. Okay, LILIAN and KAYCEE. I’ll answer that question. No worries. Pseudonyms are trivial, when it comes to having an impact on your aura. Perhaps you remember previous blogging and commenting here about how comments online are like texts and tweets. Energetically empty. Of course it’s fine to use a pseudonym at this blog or elsewhere. It’s clear that developing personal power resolves a lot but I’m ambivalent when I try to blanket everything under this. Hearing and valuing what’s been said here, I can also see how the history of my nicknames seems to have helped me in growth. Never allowed myself to be called something I didn’t like so a ‘whatevery’ preference has never been questioned until now. I can see how it’s about power. Personally, if you’d tried calling me by anything other than my first name when I was 5, I would have corrected it and kept at it until it was right. The teenage years changed that, and the perception (faulty one) of powerlessness just continued as a habit. To your comment #25, to me it feels like pointing out an oddity, and I’d react the same as Tim. You could just say ” Hello Timothy”. Wow this is a wonderful post Rose. I’m so happy that you’ve brought this to my attention! At work (only) many people call me Val. So it seems like I need to go through the paperwork for an official name change! A question, Rose. How about differences in pronouncing your name? Because I interact with people from so many different countries, my name is pronounced in various ways. KATRIINA, responding to your Comment #42, I didn’t explain the context. “Timothy” was my new client for an RES session. 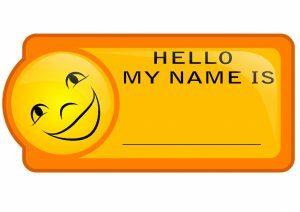 Routinely I’ll ask a new client if he or she would prefer to be called by the legal name or by a shorter form. Most clients DO express a preference. And it can go towards the long version or a shorter name. Yep, a nickname. My job in sessions (that aren’t for Name Alignment), is to say “Yes” to whichever name my client prefers. Interesting question there, GITTE, in #44. The important point here is that other people are pronouncing your name. Right? That doesn’t impact whether your own name is a good choice for your personal soul expression. Nor does it impact your aura in any way. Name Alignment Aura Research concerns the impact on you energetically, in detail, of your name. However people pronounce it. I think it’s just great that you’re so well traveled that you’d even have such a question! Likewise I’m impressed when KATRIINA, or other long-time immigrants to the U.S., are finally ready to take on a name that no longer brands them as “foreign.” Although someone may wish to choose a new name that doesn’t sound like it comes from the nation where you live, and we could find a good one that way, doesn’t life go easier when you have a name that works in this melting pot country? Like Katriina, my new name does not invite abbreviation. I’m really happy about that! Before my name change, I had a name from the country where I was born. I used an English name to teach people the pronunciation. The sound doesn’t exist in English so I had to modify the pronunciation. But I never told people to just use the English name instead. Somehow, I thought it was important to use my legal name even though most people had trouble with it. In a way, I did give myself a nickname, because I changed the sound. Looking back, I find it funny that I was a stickler on one thing but not on something else. Funny but quite typical, HOLLY. Even highly educated, super-smart people were never taught to think about names. No wonder I’m so excited that we’re having the conversation at this thread, and that you Blog-Buddies are coming out to share your weird and wacky experiences about naming yourself and being nicknamed by others. Thanks for the interesting post Rose and blog-buddies. Defintately a future session of research with you Rose. I’ve never shortened my name, and haven’t allowed nicknames except my siblings. I never liked them. When I was a young child, I went through a phase when I didn’t like my name much because I didn’t know any girls who had my name, I would call myself Christal, not Chrystal, for some reason it seemed prettier. Then I watched the Bionic Woman with Lindsay Wagner! Boy oh boy did I embrace my name after watching that show, because she was so strong and powerful! Thinking back now, her character was a difficult act to follow physically. It was, however, fun fiction and very motivational for me to model her character in some way. Names do really have an impact. It would be interesting to see how my entire name impacts me. Thanks Rose, I’ll chew on this awhile and get back to you soon! ? This is such an interesting topic. I have been curious about the impact of nicknames so thank you for dedicating a post to it. I’m someone who has had Name Alignment research done and gone through with the legal name change process. I was pretty clear early on with friends and colleagues that I prefer my name as is when they tried to shorten it. I recently went to a coffee shop where they write your name on your cup and the woman asked me what my name was. That was just lazy. Why bother to ask my name if you’re going to make up your own variation? Now, I more often deal with mispronunciations and misspellings. All in all, it’s been a good opportunity for me to just get ok with correcting people. Thanks Gabriella. That reminds me of one of Rose’s adages that enlightenment requires us to progress in Love, Light(Wisdom, I guess) and also Power. So asking people to get one’s name correct does seem like a good opportunity to develop the power aspect. Ha..Lilian, I think comment 59 was directed towards me. When I think of the people who try to give me a shorten name (without asking permission), it makes sense that they want to do a control thingy with me. I thought that was what irritated me more than the name change, but now maybe both issues were striking discord within me…. Thanks for writing this post, Rose.